Portable toilets are a great way to accommodate large outdoor crowds and prevent the problems caused by forcing them to crowd into existing facilities. 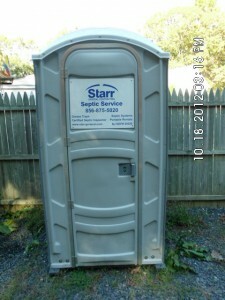 Our portable toilets are modern, clean and economical. They are available to rent based on daily or monthly rates. For high long term rentals and high volume short term rentals, we provide a septic pumping service at regular to keep them clean and empty. We are quite flexible and can adapt your rental agreement to suit your changing needs.